Please excuse my terrible nail job (as I have not painted my own my nails for about 6 months!) but I tried the Find Me An Oasis polish. I'm obsessed with pastel baby blue so this color was must do ASAP! So I didn't end up painting all my nails with the Find Me An Oasis, I tend to get very creative when I paint my nails! But I absolutely loved the color! It such a spring/summery color and it's almost so light it looks very white. I've tried some white nail polishes before and found that they become very dirty looking over time. 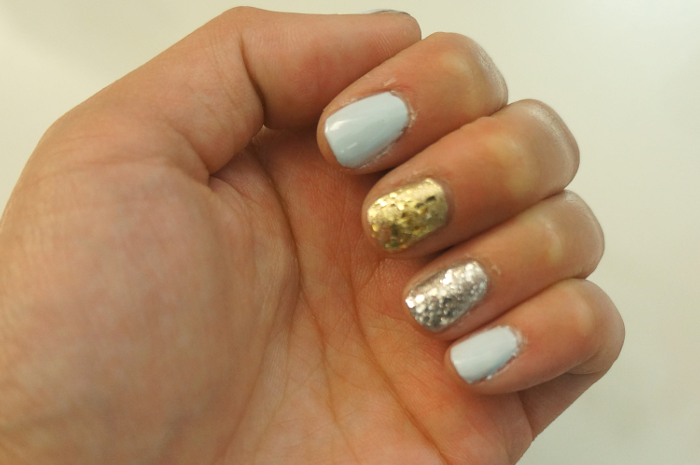 The only things I didn't like was that it took me three coats to get it to the consistency and color I liked. But I'm a very impatient person, hence the reason I don't paint my nails very often! I also dislike that did start chipping after a couple days of wear with this color! I loved it, I just wish it lasted longer! I haven't tried the Resort Fling yet but hopefully I'll get around to painting my nails again soon! You can grab the Resort Fling Collection at Obsessed Look or shop even more collections and colors on their website! Obsessed Look offers free shipping all across Canada so be sure to check them out! Wow you did a great job with this mani, love the colors you chose. I do not have the patience to do my own nails, I always go the salon but only get regular manicures. No french manicures of gel manicures. What a beautiful color! I love the way you did your mani :) It's so pretty. Thanks so much for your comment on my blog. I really like yours! I'm now following you on GFC, Bloglovin, Facebook, and Pinterest. 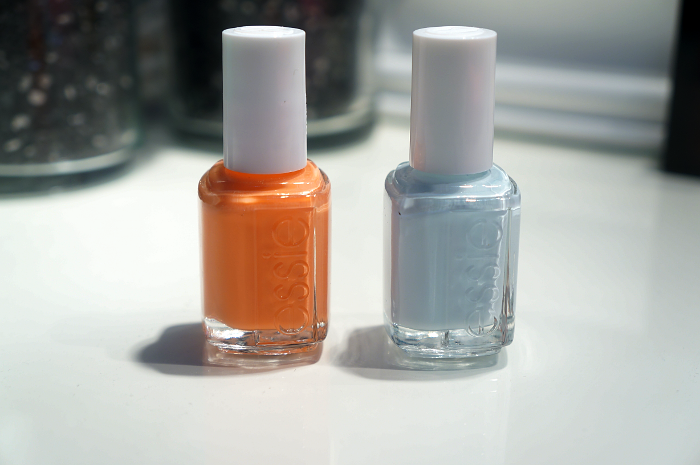 These are pretty colors and are perfect for summer. Thanks for stopping by my blog. Stay in touch.